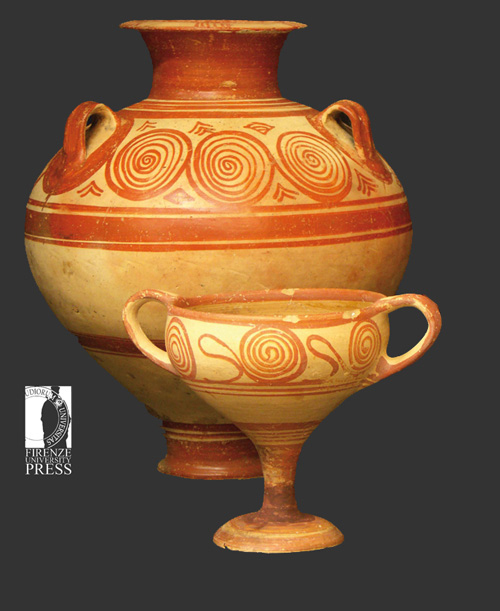 The digital archive of Aegean Collections has been developed by DBAS as a DataBase hosted on the server fupress.it. The on-line resource offers an advanced research tool based on the complete catalogue already published in "Le Collezioni Egee del Museo Archeologico Nazionale di Firenze" edited by A.M. Jasink and L. Bombardieri (Firenze University Press 2010). The core of the DataBase is represented by the basic card, collecting the whole informative elements related to each filed object, which corresponds to a single entry. A wide range of detailed description fields is provided by the DB in order to deepen the analysis of the Aegean Collections. Concerning these specific description fields, and in particular for the pottery, the definition of technological features of the ceramic production (such as surface treatment, colours and tempers) and the typological elements of the repertoire is given. Furthermore, an enriched selection of Colour Pictures, detailed photos and drawings for each object is on disposal.